Business process service provider MAXIMUS has signed a definitive asset purchase agreement to acquire certain assets of General Dynamics Information Technology’s citizen engagement centers in the U.S. federal civilian market. The $400 million all-cash transaction is slated to close in mid-November and is subject to customary closing conditions. 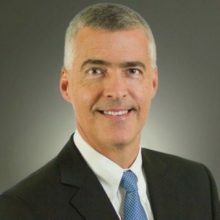 The deal is expected to bolster MAXIMUS’ position with some of the largest mission critical federal civilian programs, said Bruce Caswell, MAXIMUS president and CEO. “This deal aligns with our MAXIMUS digital modernization strategy and we remain keenly focused on improving the citizen experience for critical government programs while driving long-term innovation to meet evolving program demands,” he said. The associated assets included in the asset purchase agreement had revenue of nearly $670 million for the 12 months ended June 2018. This revenue is primarily tied to cost reimbursable contracts and accordingly, operating margins typically average in the mid-single digit range.